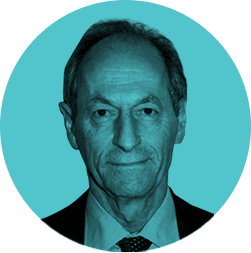 Institute of Health Equity - Michael Marmot: What you said: Did it include me? What you said: Did it include me? At the finish of my lecture in Auckland, a Maori woman started by saying: “you are the first white man who ... (I got a bit alarmed at where this was going and did not quite hear the finish, but it was along the lines of) ... spoke to me in a way I could believe in; what you said: did it include me?” She then, in traditional Maori fashion, introduced herself in terms of her background: who her grandparents and parents were. But then she said: I think what you said includes me, but I want to hear from you that it is so. It’s time to learn to live as one. Much of the concern with health inequalities in New Zealand is with Maori/non-Maori differences. Martin Tobias concluded that about half of that difference is socioeconomic in origin. There is a good deal of resentment among Maori academics at both halves: the socioeconomic disadvantage and the long history of discrimination. While the health position of New Zealand Maori compared to non-Maori (pakeha) is a good deal better than that of indigenous Australians compared to non-indigenous, Maori life expectancy trails pakeha by about 9 years. I was keen to see what is happening at community level and asked to visit a Marae – a Maori community centre. I was taken to see the Kokiri Marae Health and Social Services Centre in Lower Hutt, a down at heel area outside the main city of Wellington. The story we were told was one of Maoris being encouraged off the land into the cities to find work and finding not so much work but marginality and social exclusion – a regretfully familiar tale of gangs of young males getting into trouble, alcohol, physical abuse of women and children. Kokiri Marae was started by and is run by women. They get a variety of government grants to run services. The one man that we met, and it was he that did the traditional Maori greeting, told us the story of how the Marae was founded by his grandmother. The story of Grandma and the gangs is the stuff of movies. In short, Grandma was in the Lower Hutt in the same poverty as all the other Maoris but wanted to provide a community centre for the young men who were getting into all sorts of trouble in gangs. Every day with whatever ingredients she could find, Grandma made a tureen of soup, and every day for two months she threw it out. She invited the gang members to come and eat, but it had to be on her terms: shoes off, respect, no violence. No respect, no soup. For two months the standoff between Grandma and the gangs continued. They wouldn’t meet her terms and she threw the soup out at the end of the day. Finally, they took their shoes off and came and ate. “Hollywood ending?”, I asked. “The gang members all became lawyers and members of parliament?” Not quite. Still a lot of mayhem and family violence, but Grandma’s vision flourished. · To be cohesive, resilient and nurturing. Terrific. This is putting into practice the kind of principles espoused by the CSDH and Fair society Healthy Lives. Does it work? I am convinced that this is wonderful, I told them, but if I want to be able to communicate this to others round the world, I need to have something more, showing that it is effective. We then had a highly nuanced discussion about both the need for evidence of what works, but of the difficulties of doing the right kind of evaluation and their miserable experience in the past at the hands of researchers. They painted a realistic picture of continuing processes of exclusion, of family violence and young men getting into trouble. But they have hope and commitment and it gives me more grounds for optimism. Maori life expectancy may be lagging behind, but it IS improving. It has risen to the level of whites 20 years ago. Improvement but a long way to go! Thank you for that Sir Michael. I don't know if you remember me but I a the woman who comes along when I can to remind you of the Gypsies and Travellers in the UK, who are finding themselves in a similar situation today as Maori, Aboriginal and Native American peoples. I talk of the chronic exclusion that many people from these communities face, with many of the same issues faced by the Maori woman you refer to. One does not have to travel to New Zealand to see what can be done over time when communities are given support and encouragement. I doubt if many young Gypsies and Travellers were rioting on the streets of Britain recently, as many are too marginalised to participate in such civil disobedience, but like many of those young people, there is a growing sense of alienation and real experience of prejudice and inequalities. We all stand to gain by supporting and including all our citizens, even those that are deemed hard to reach, time, patience and trust needs to be given, and the people that are trying to support those people need to be enabled to do so. No quick fixes or miracles... just money, commitment and hard work!